Before Christmas, we’ve usually been pondering between ingenious travel gadgets and booking flights, but this time we wanted to make a difference by adopting an orphaned elephant. 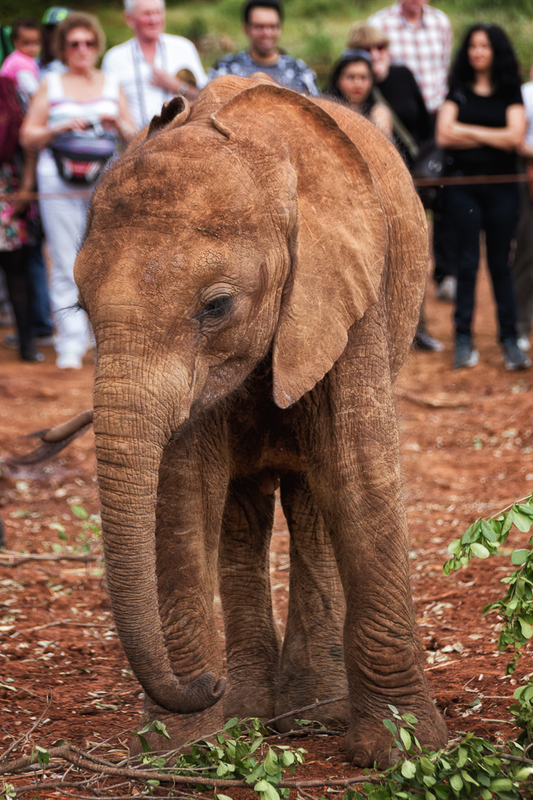 We have been dreaming about fostering a baby elephant ever since our visit to The David Sheldrick Wildlife Trust’s elephant orphanage in Nairobi. 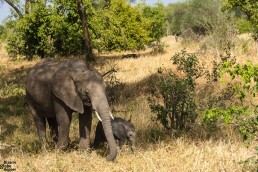 After just a couple of clicks, we’re now proud foster parents of orphaned elephant called Roi. Obviously, we love those gray giants. African elephants are the biggest mammals walking on earth, and seeing them in their natural habitat is always intriguing; it feels almost sacred. Their eyes are so deep, full of wisdom and unconditional love towards their tribe. Elephants remember everything and suffer deeply if their family member dies. The bushes are full of stories of their empathy: for example, the whole herd tends to return to the spot where their member has faced his death, every year on the stroke of the hour. And they cry out loudly. 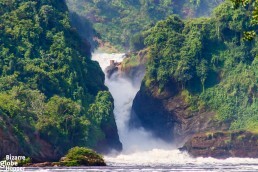 We lost our hearts to Africa on our very first safari in Tanzania almost two years ago. Since then, we’ve already visited six African countries and spend hundreds of hours on game drives, but just can’t get enough. I could pour countless stories about our elephant encounters: watching them calmly stroll around in herds, flapping their giant ears to keep off the heat, whisking their trunks to eat, bathing joyously in the mud, or even charging our jeep, agitated from our presence. Elephants are highly intelligent. They grieve, joy and fear just like we humans do. During the past 100 years, African elephant population has been dropped by 97%. More than 30 000 elephants are killed every year, one in every 15 minutes. Elephants are among our favorite creatures and the ivory trade breaks our heart. More than 30 000 elephants are killed every year, one in every 15 minutes. This rate is leading to the complete distinction faster than we can expect. According to IUCN’s current report, Africa’s elephant population has seen the worst declines in 25 years, mainly due to poaching over the past decade. In some countries, like Somalia and Sudan, elephants have already faced distinction. During the past 100 years, African elephant population has been dropped by 97%. We, humans, are the worst enemy for elephants, but we are also the only ones who can help. This fall, we have been moved by two brilliant documents. If you haven’t yet caught the hype around The Ivory Game, you can watch it on Netflix. Executive produced by Leonardo DiCaprio, the document exposes the complex problems of corruption and poaching caused by the global ivory trade. The Finnish superhero ivory dog called Rokka made a short appearance in The Ivory Game.  It was Finnish Team Rokka who found critical evidence against the Tanzania’s most wanted elephant poacher and ivory trafficker called Shetani (meaning ”devil” in Swahili) that led to his arrest. In Finland, a tv series about Team Rokka aired this fall. You can watch the Finnish trailer on their website. Go Team Rokka! Of course, you can support several organizations, such as PAMS Foundation (Tanzania), International Anti-Poaching Foundation, or Save the Elephants. 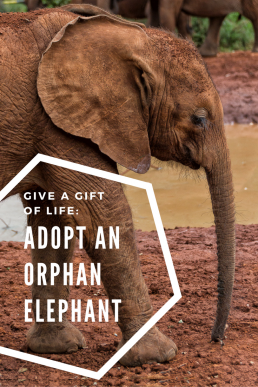 But if you would like to give a concrete gift of life, you can also adopt an orphaned elephant from The David Sheldrick Wildlife Trust, as we did for ourselves and our loved ones. When an elephant is orphaned, usually its mother and family have been poached to death. 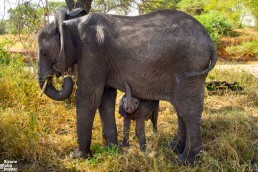 The family is everything for elephants, and baby’s survival depends upon its mother’s milk for the first two years. 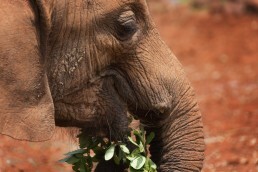 The David Sheldrick Wildlife Trust has done immense conservation work in Kenya since 1977. 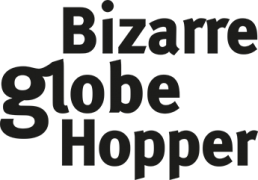 They have developed the most successful orphan-elephant rescue and rehabilitation program in the world and are among the pioneering conservation organizations in East Africa. 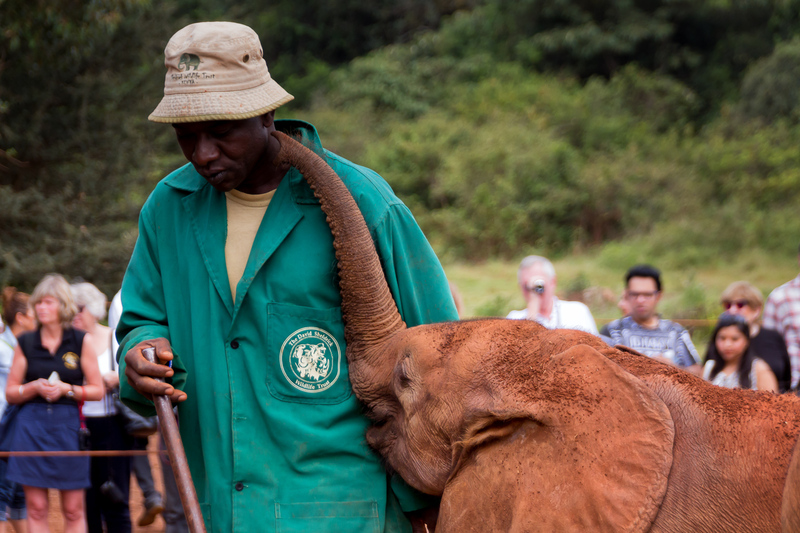 We felt privileged to visit their elephant orphanage in Nairobi with our trusted safari guide Ombeni African Safaris. 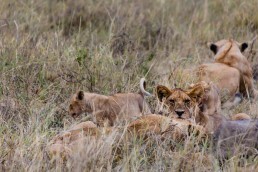 Our visit was overly emotional, one of the highlights of our 10-day safari in Kenya. But we’ll write another article about our experience about The David Sheldrick Wildlife Trust, with tons of cute elephant pictures, so stay tuned! For now, you can trust us that The David Sheldrick Wildlife Trust does an amazing job in raising orphaned baby elephants and introducing them back to Tsavo East National Park. They’ve hand-raised over 160 elephants with their special milk formula and husbandry that took decades to master. 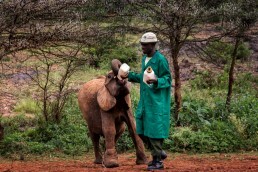 The David Sheldrick Wildlife Trust’s Elephant Foster Parent Programme is simple. The hardest part is to choose your own adopted elephant among the available orphans since all stories and pictures will quite probably touch your heart. After finding the perfect match, just fill your details online and pay a yearly fostering fee (50$ minimum) with a credit card. 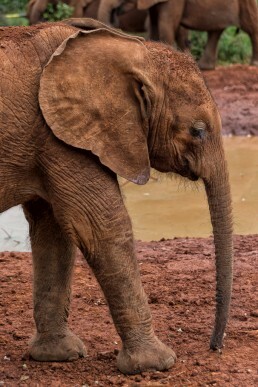 You will receive a fostering certificate via email with further information and images of your adopted elephant, including a map indicating the place from where the orphaned elephant was rescued. The David Sheldrick Wildlife Trust will send you monthly news and photos on your adopted elephant so that you can immerse in the life of the trunk of your choice. By logging into The David Sheldrick Wildlife Trusts website, you can also read the daily diary of your elephant’s Keeper. You can also adopt a baby elephant as a gift for your loved ones, so they’ll receive a gift certificate and all the other material described above, including the monthly watercolor by Angela Sheldrick. DSWT also has a special Christmas Gift Elephant Fostering Programme as an answer to this holiday season. 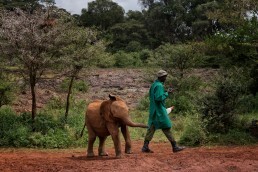 The David Sheldrick Wildlife Trust’s orphan-elephant rescue program is the most successful in the world. They’ve hand-raised over 150 orphaned baby elephants with their special milk formula and husbandry that took decades to master. Roi’s mother was poached down in the vast plains of Masai Mara. The day before, she had been photographed nursing 10-months old Roi underfoot. Next day, the same visitor found a confused baby beside her dead mother. The mourning baby elephant was already shunned by the rest of the herd. As she was still milk-dependant, she wouldn’t have chances with the group anyway since the mother of the herd wouldn’t have had enough milk for two calves. Without her mother, the baby elephant would have got weaker and weaker every day. Still, separating the baby elephant from the herd turned out to be tricky, because the matriarch was protective towards the orphaned baby elephant, though she pushed her away when Roi tried to suckle her milk. Eventually, Roi was skillfully separated from the herd, wrapped in blankets and strapped for the flight towards Nairobi and the elephant orphanage of The David Sheldrick Wildlife Trust. Despite being without her mother’s milk, Roi proved out to be a strong little elephant, who protested against being left in the fencing while the other elephants took their daily outing in the park. Luckily, Roi accepted the milk bottle almost instantly and was also let out with the others although she wasn’t tamed down. 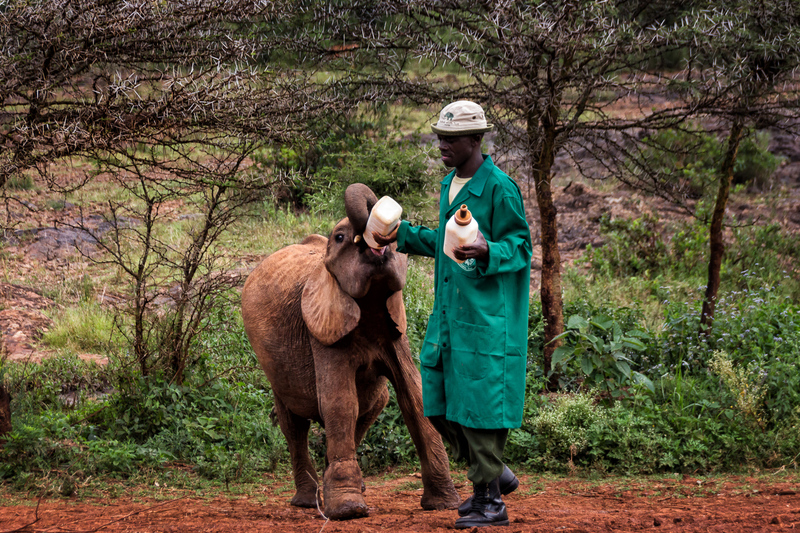 Roi felt at home immediately with the other orphaned elephants and became dependant of the milk bottle, getting used to her Keepers. Nowadays, two years after her rescue, Roi is genuinely happy and playful little elephant who’s not afraid to command other members of the herd. For example, according to her Keeper’s diary, a couple of days ago Roi got head butted (don’t ask!) and was furious for the intruder. The day before, on their daily outing in the park, Roi charged the Keepers to notify them about an approaching lion pride. The David Sheldrick Wildlife Trust’s herd lost that day their beloved ostrich Pea for the lioness, but luckily the rest of the herd is safe. Though we adopted our orphaned elephant just a couple of days ago, reading about her undertakings has already brought us joy and excitement. While also some other organizations, such as WWF, offer elephant adoption programs, we prefer the concreteness of The David Sheldrick Wildlife Trust. For example, WWF’s elephant adoption program is solely symbolic: you donate a fixed amount to the elephant conservation (55-250$) and receive a gift set consisting of toy elephant, gift bag, and an adoption certificate. The David Sheldrick Wildlife Trust won’t send you material gifts (all money goes for the elephants), and they give you the named elephant whose life you can follow, even daily. We, humans, are the worst enemy for elephants, but we are also the only ones who can help. Give a gift of life and hope – adopt an orphaned elephant and help to break the vicious cycle of poaching. Written by Niina & Photography by Piritta. Ombeni African Safaris hosted our visit in The David Sheldrick Wildlife Trust and our safari in Kenya, but all opinions remain our own. The little elephant orphans adore their keepers! What a wonderful post! I hadn’t heard of the The David Sheldrick Wildlife Trust before, but it’s obviously doing incredible work to rescue and rehabilitate elephants. I will definitely check out its adoption program – I love giving gifts that give back instead of giving “stuff” that people don’t need.